So I decided to do Germany for fun. 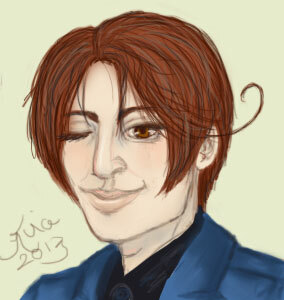 ;p That turned into a pic of Italy & now Romano. Both pix were done completely with my tablet from start to finish & they took about 3,4 hours to complete. Excellent portraits, Kira! Their expressions are perfect - what is Italy thinking about, that naughty boy! Romano looks like he was heartburn; which is exactly correct, ja? 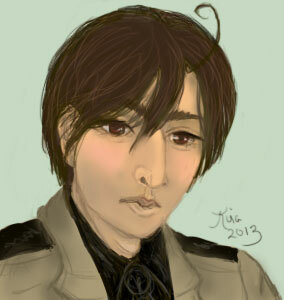 May favorite parts are Romano's skin-tone and his shading and Italy's hair and his open eye. Great job, Kira, especially with Romano.